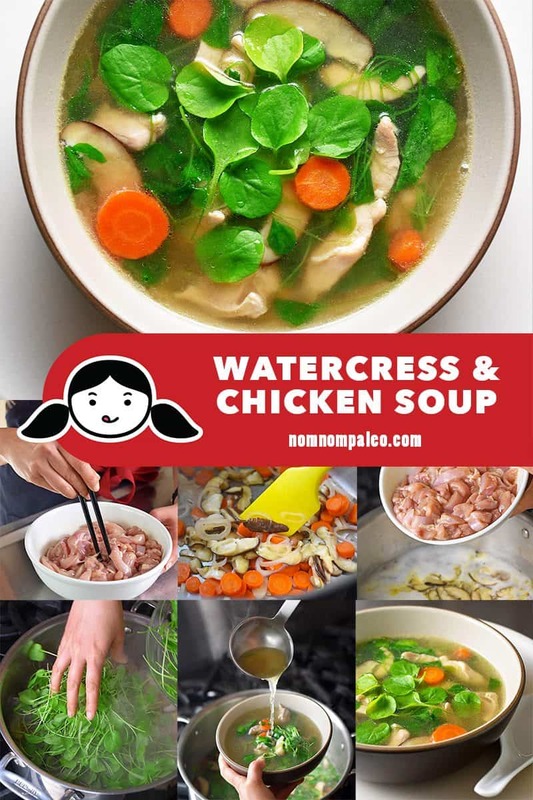 This Whole30-friendly Watercress and Chicken Soup is an adaption of my mom’s recipe and it can be prepared in just minutes with grocery store staples! 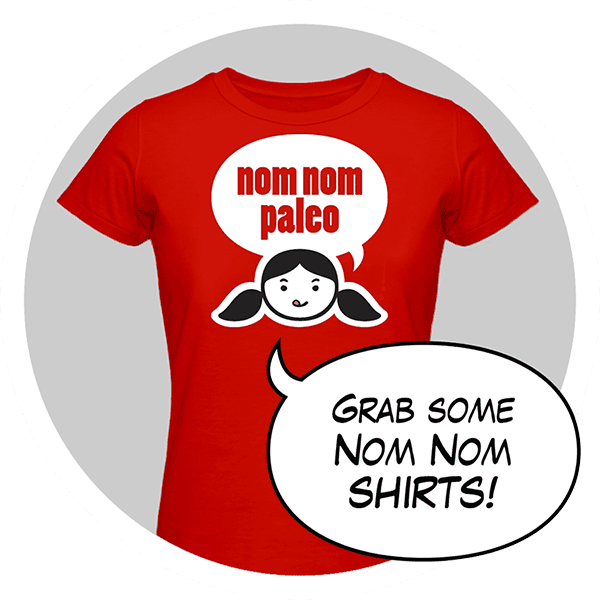 Move over, kale. 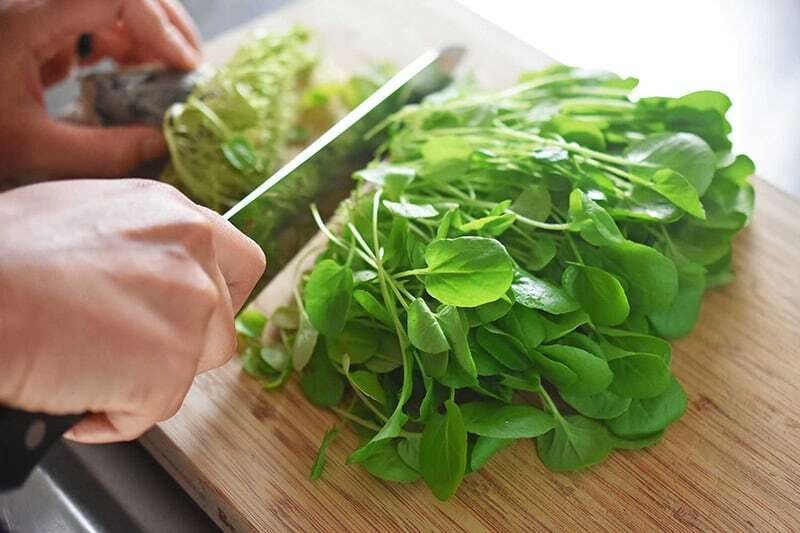 Here comes a more versatile, nutrient-dense, and tasty leafy green: watercress! Seriously: did you know that this unassuming aquatic plant was recently proclaimed the new queen of the produce aisle, with a nutrient density score of 100%? 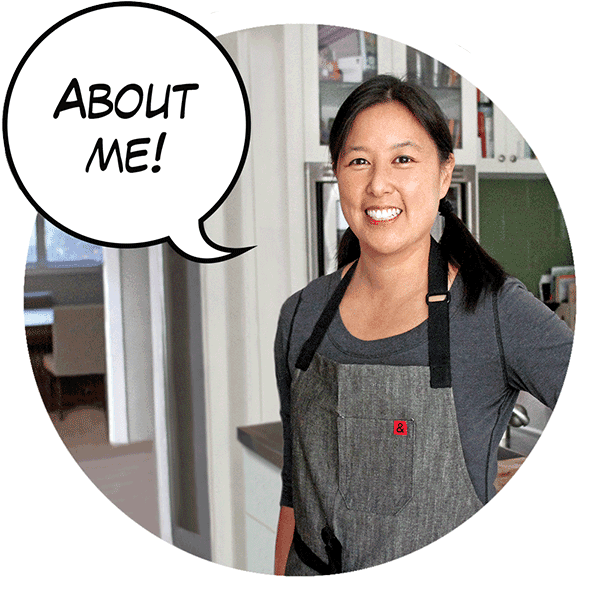 My mom, for one, has long been aware of the nutritional punch that watercress delivers, because she’s been making traditional Cantonese pork sparerib and watercress soup since forever. 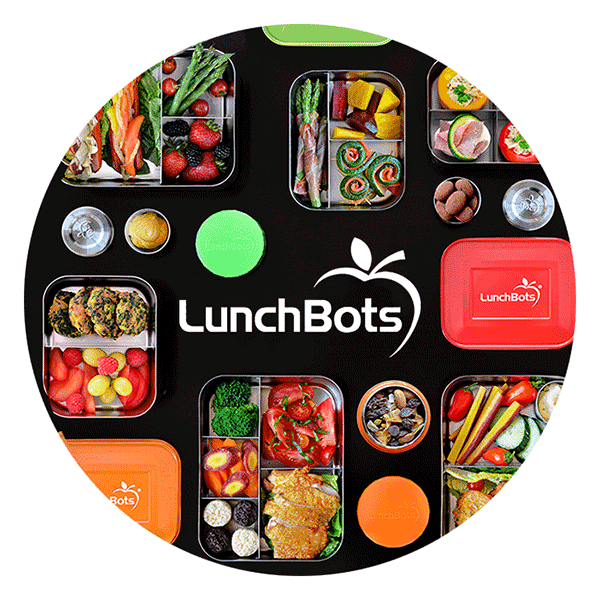 It was one of my favorite childhood dishes. 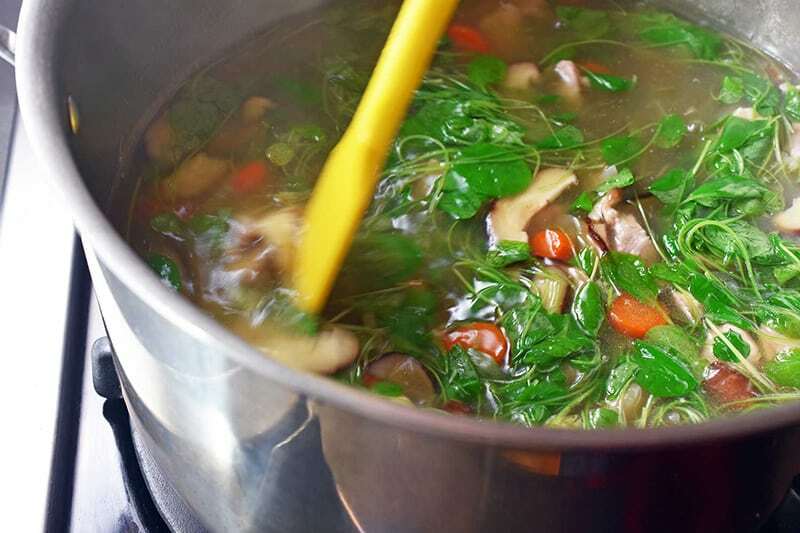 When I was brainstorming different ways to cook with watercress, my mom’s soup immediately came to mind. Hers is a traditional slow cooked soup, or lou fo tong (老火汤), packed with tender pork spare ribs, watercress, dried Chinese dates, shiitake mushrooms, and almonds—but patience is not one of my virtues. 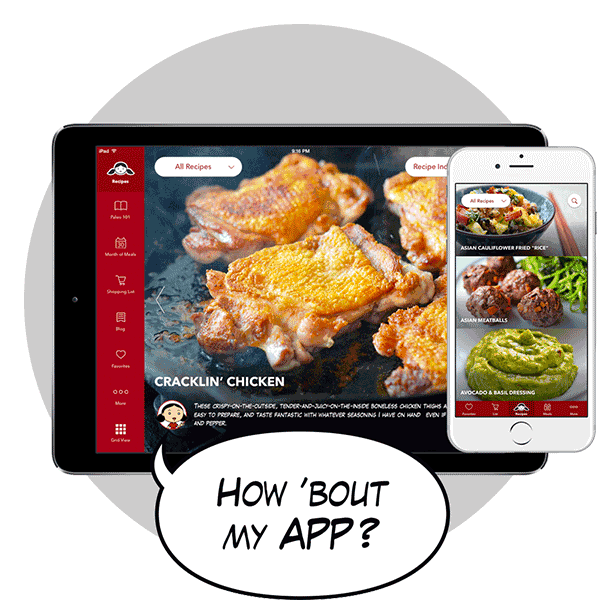 I was determined to make a fast and easy version. This Watercress and Chicken Soup is a mod of my mom’s recipe that can be prepared in just minutes, and without having to make a special trip to an out-of-the-way Asian supermarket. The secret? I substitute sliced chicken thighs for the pork, and leave out items I can’t find in my neighborhood grocery. Also, because the watercress I buy at the store is so young and delicate, I stir it in at the end so it remains a vibrant shock of green in the bowl. I can almost see my mom shaking her head as she reads my recipe, but hey—when I’ve served this soup on a chilly weeknight, my brood has given me a collective thumbs-up. After all, there’s nothing more comforting than a steaming bowl of soup, right? So go grab the ingredients and simmer a big pot tonight! Can you make this soup in an Instant Pot? Use the Sauté function of the Instant Pot to cook the vegetables in steps 3 & 4 of the printable recipe card down below. 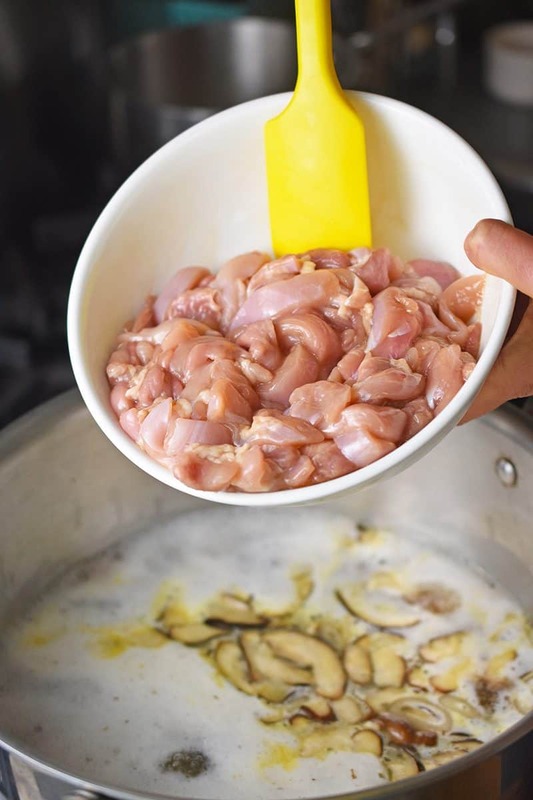 In place of steps 5 & 6, add the broth and chicken to the Instant Pot and program the Instant Pot to cook under high pressure for 2 minutes. 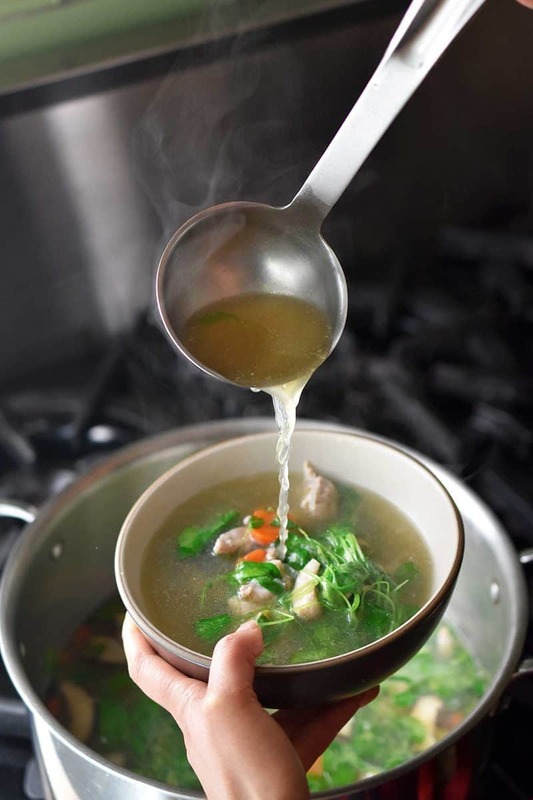 Manually release the pressure when the soup is finished cooking. 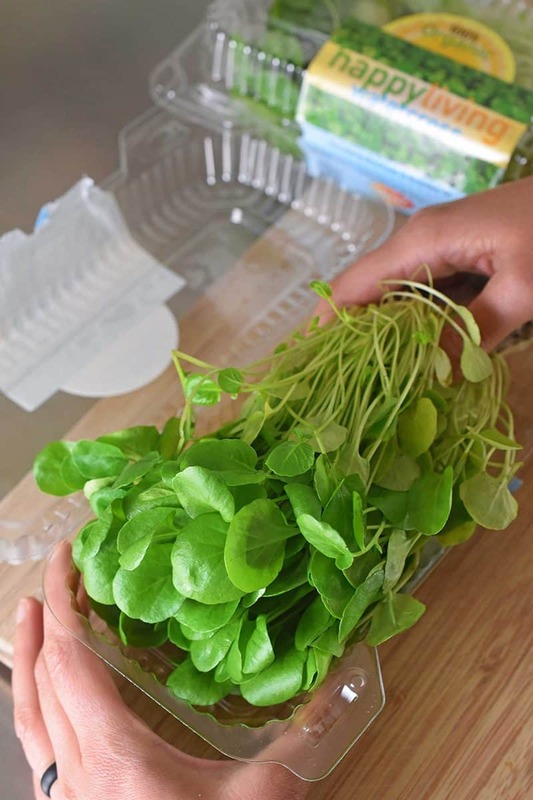 Open the lid and stir in the watercress. Season to taste with salt and fish sauce. Can I change the protein? Yes! 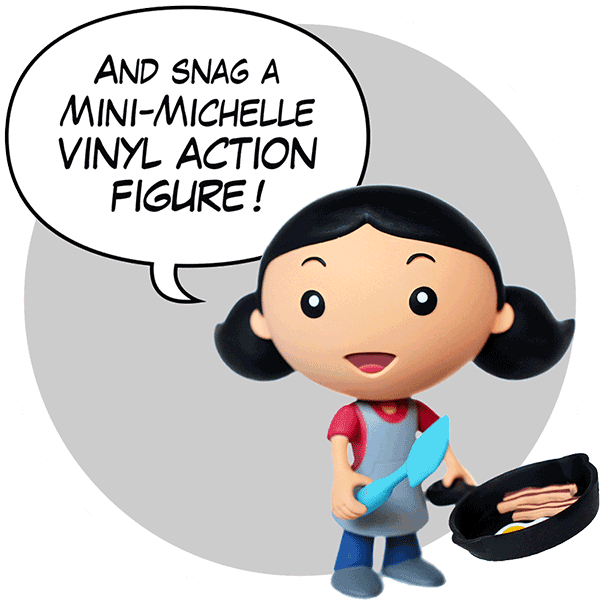 Thinly sliced pork tenderloin, chicken breast, or sirloin steak will work! I’ve also used ground pork and ground dark meat poultry and it tastes delicious. Can I use a different vegetables in this soup? Yes! 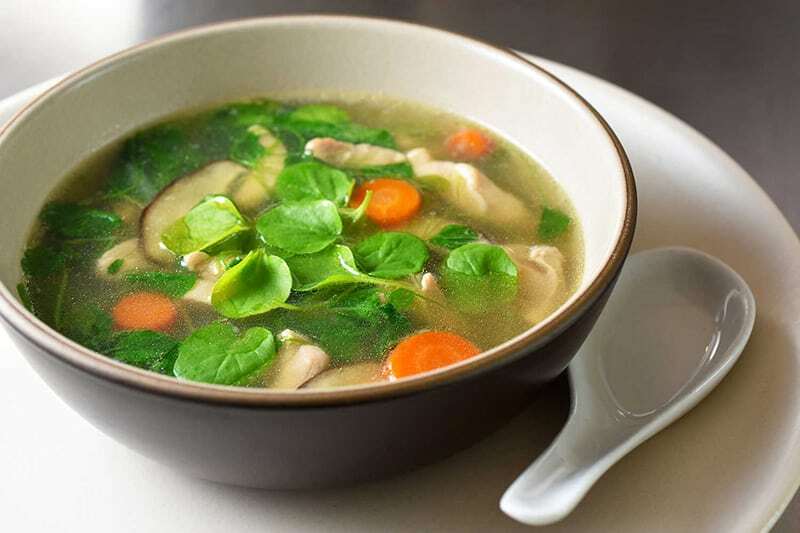 Baby spinach cooks just as quickly as tender watercress and tastes great in this soup. Also, you can use regular button mushrooms in place of the fresh shiitake. Can I leave out the fish sauce? 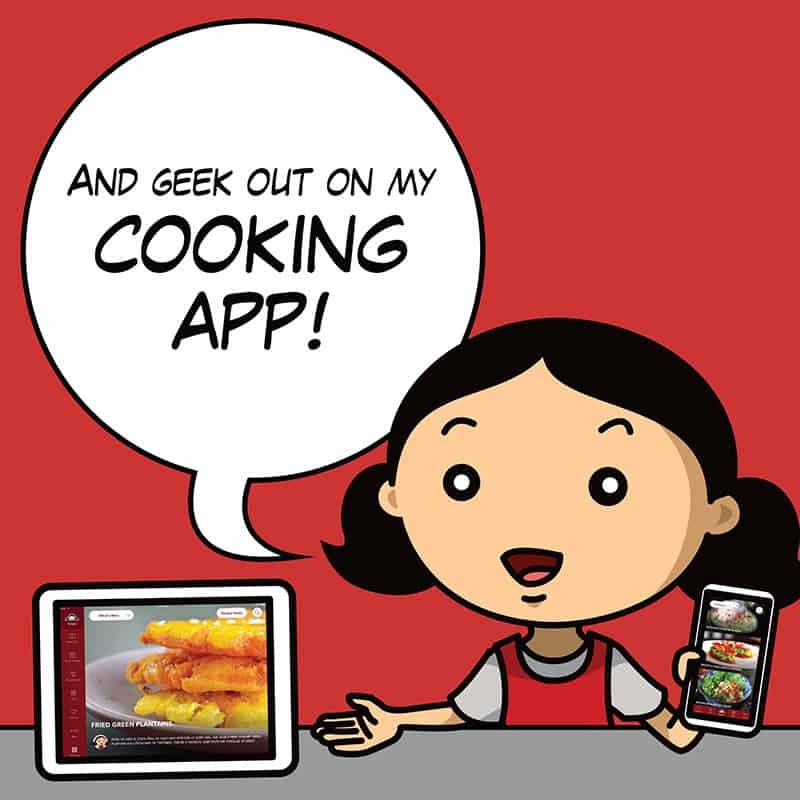 It will still taste great, but don’t leave it out because you’re afraid of cooking with fish sauce! If you leave out the fish sauce, simply season to taste with a little more coconut aminos or salt. Grab your watercress and cut off the root end if you’re using the living stuff. 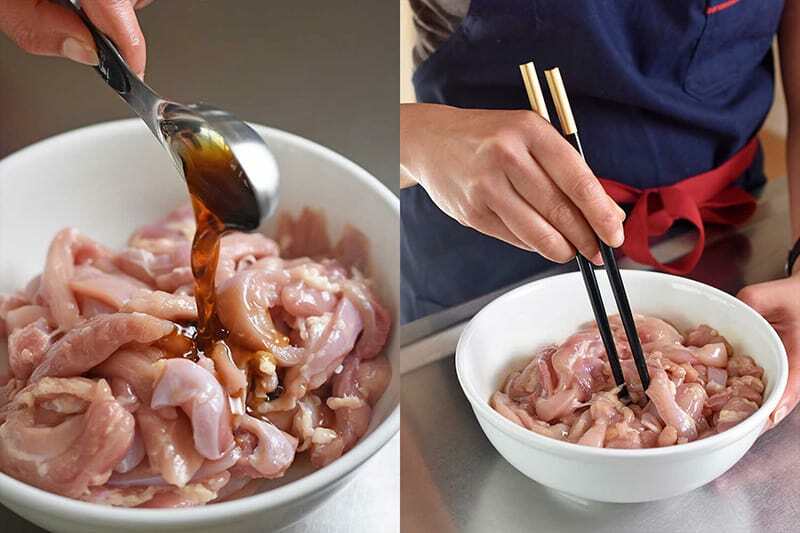 Slice the boneless, skinless chicken thighs into strips, and put them in a bowl. Heat the avocado oil or fat of choice in a large saucepan over medium heat and chop up the rest of the vegetables. 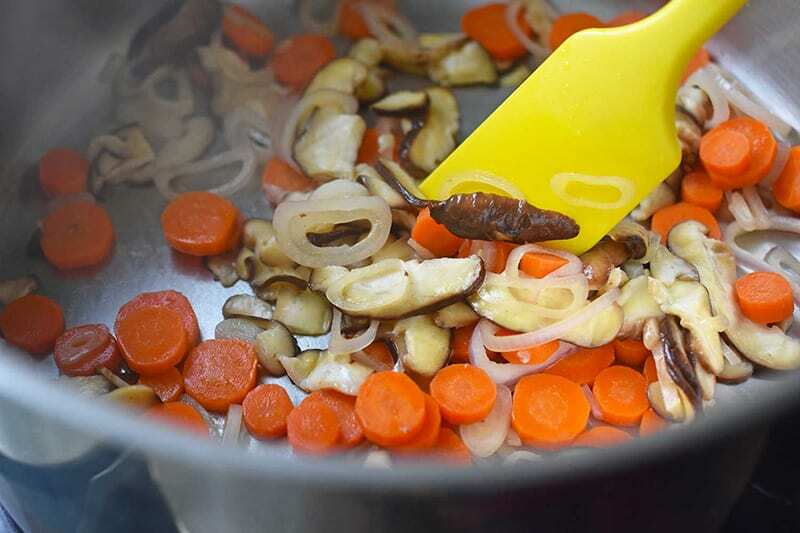 When the pan is hot, toss in the shallots, carrots, and shiitake mushrooms and a pinch of salt. Sauté until the shallots and mushrooms are softened (about 5-10 minutes). Pour in the broth, and bring to a boil over high heat. Add the chicken and bring everything back up to a boil. Reduce the heat to low (or just enough to maintain a simmer) and cook for 5-10 additional minutes, or until the carrots have softened and the chicken is cooked through. 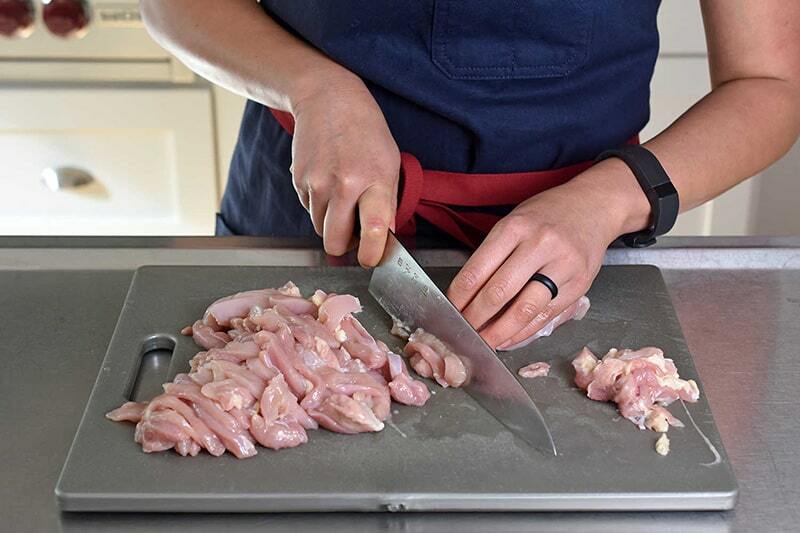 Boneless, skinless chicken breast will cook faster than thighs, so you may need to fish out the chicken first if the carrots aren’t yet as tender as you want ’em. Thighs, on the other hand, are more forgiving if you overcook them, so you can leave them in the pot until the carrots are cooked through. 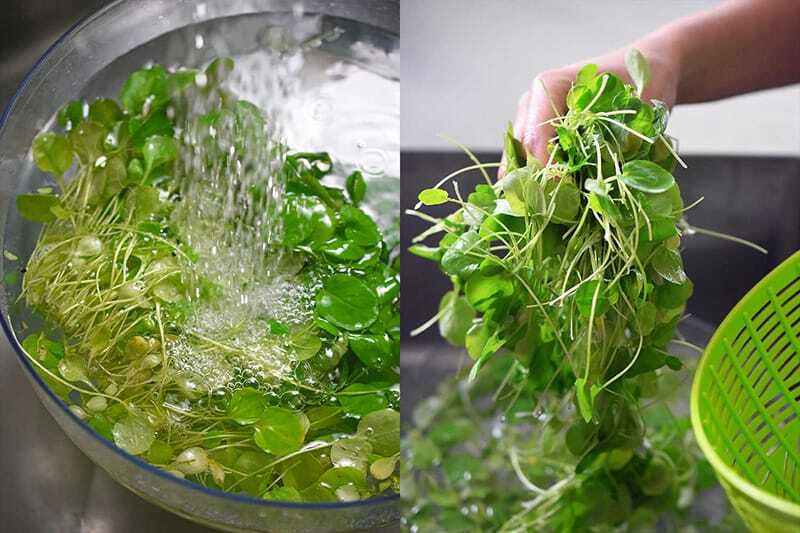 Remove the pot from the heat and stir in the watercress. As soon as the watercress is wilted, season to taste with more salt and/or fish sauce. Ladle it up and dig in! Pro tip: the leftovers taste great for breakfast topped with a fried crispy egg! 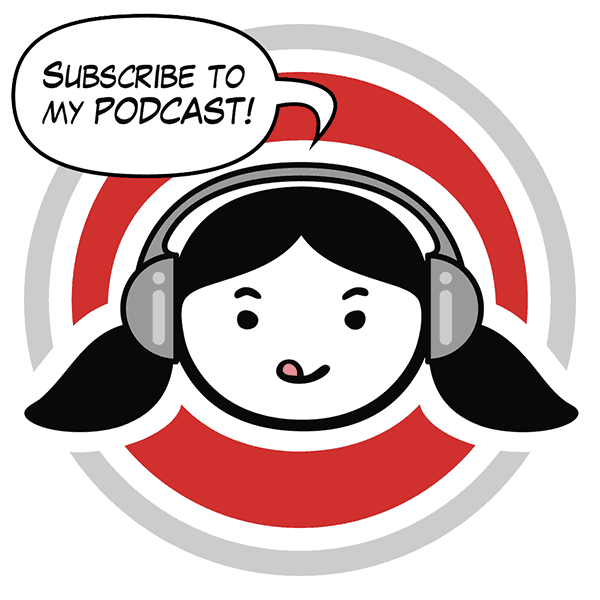 Want more inspiration from past January Whole30s? 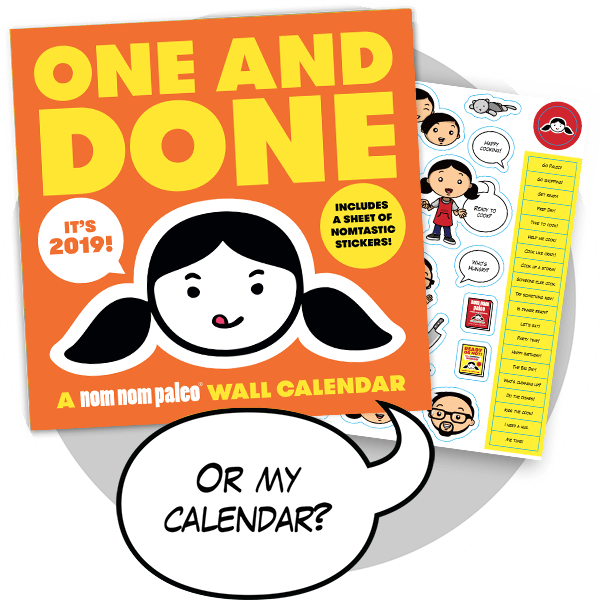 Check out my Day 4 posts from 2018 and 2017! 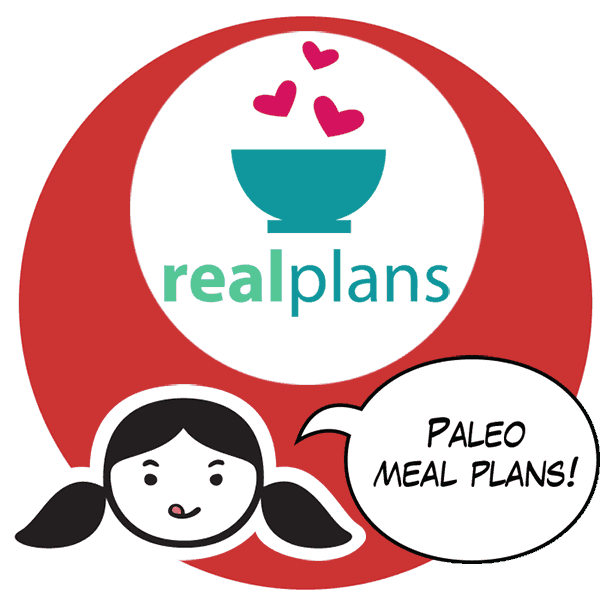 A note to my Nomsters: This is one of a series of daily blog posts I’m writing in the month of January 2019 to help those doing a Whole30 to kick off the New Year. 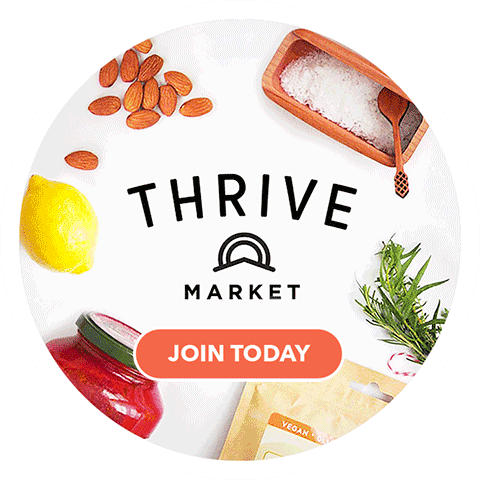 Not sure what the Whole30 is, or want info on how to get started? 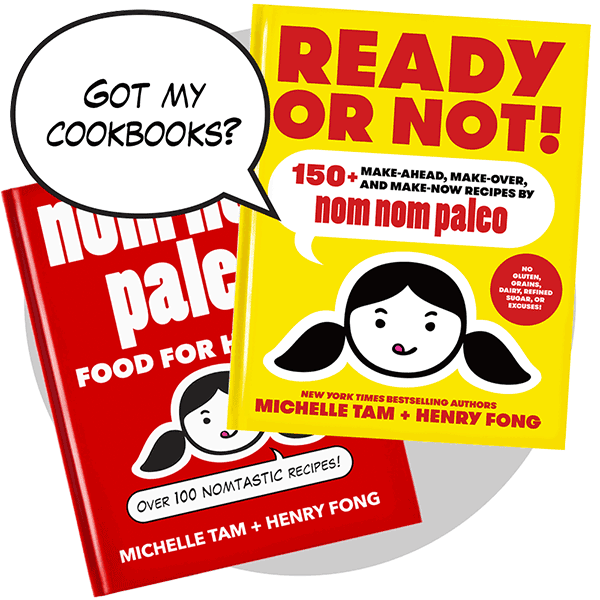 Read my Whole30 prep post—and then come back to Nom Nom Paleo every single day for recipes to inspire, delight, and sustain you on your Whole30! 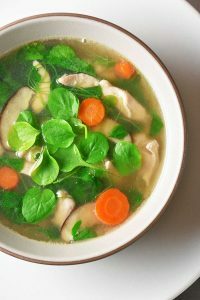 This Whole30-friendly Watercress & Chicken Soup is an adaption of my mom’s recipe that can be prepared in just minutes with grocery store staples! Heat the avocado oil in a large saucepan over medium heat and chop up the rest of the vegetables. 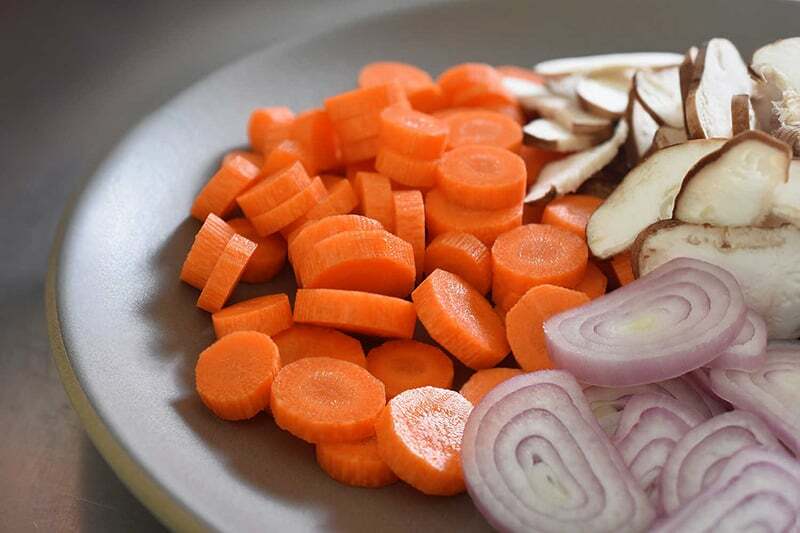 When the pan is hot, toss in the shallots, carrots, and shiitake mushrooms and a pinch of salt. Sauté until the shallots and mushrooms are softened (about 5-10 minutes). Add the chicken and bring everything back up to a boil. 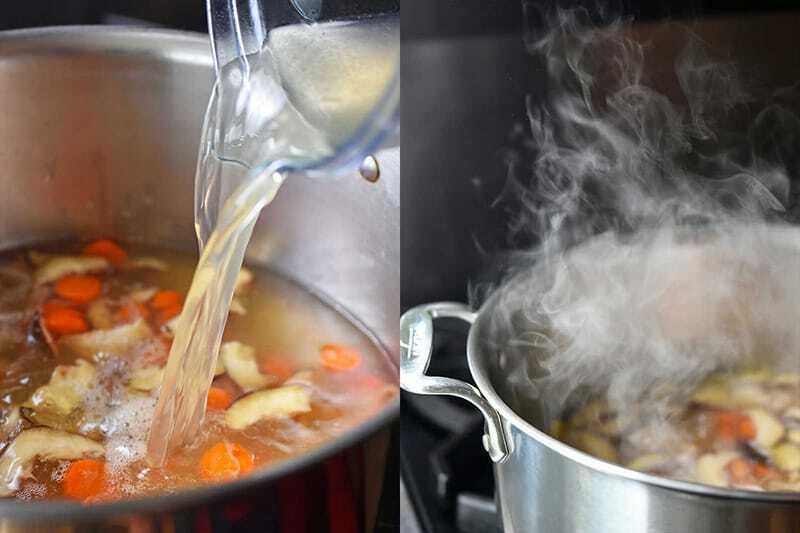 Reduce the heat to low (or just enough to maintain a simmer) and cook for 5-10 additional minutes, or until the carrots have softened and the chicken is cooked through. 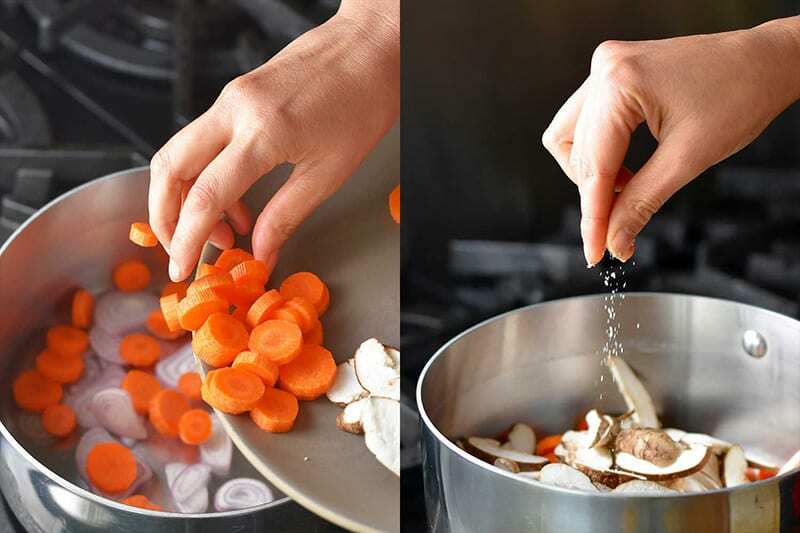 Boneless, skinless chicken breast will cook faster than thighs, so you may need to fish out the chicken first if the carrots aren’t yet as tender as you want ’em. Thighs, on the other hand, are more forgiving if you overcook them, so you can leave them in the pot until the carrots are cooked through. 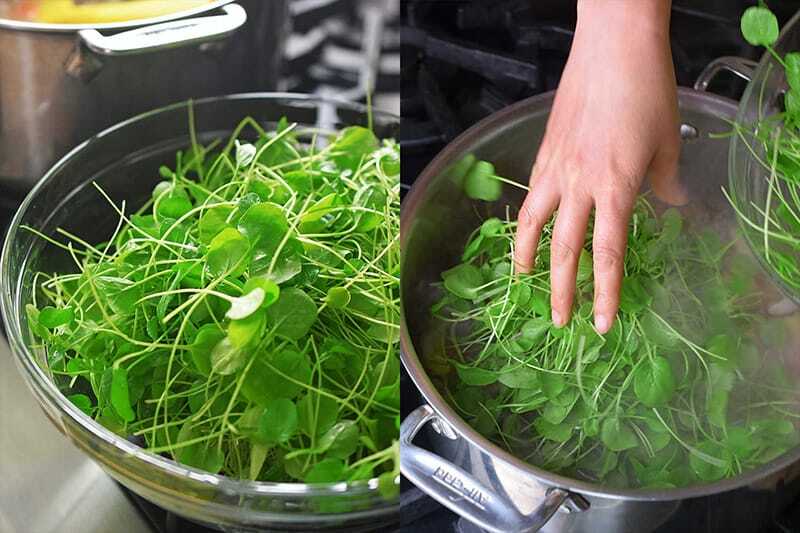 Remove the pot from the heat and stir in the watercress. As soon as the watercress is wilted, season to taste with more salt and/or fish sauce. Use the Sauté function of the Instant Pot to cook the vegetables in steps 3 & 4.